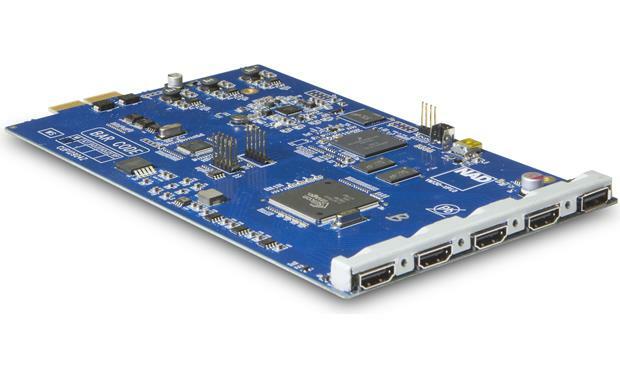 The NAD VM130 4K video module lets you upgrade your NAD T 758 home theater receiver to support 4K Ultra High Definition video. Professional Installation Required: To avoid impacting the warranty, the VM130 should only be installed by an authorized service center. 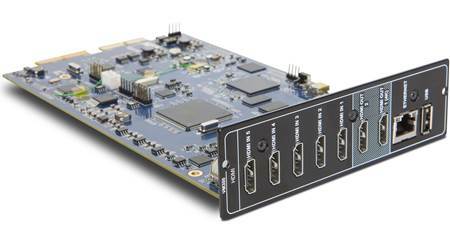 Compatibility: The NAD VM130 4K video module works with the T757 and T758 AV receivers from NAD. 4K Video Module: The NAD VM130 allows you to upgrade select NAD AV receivers that currently support 1080p video to ultra high definition 4K and HDR video. It supports 60 frames per second (4K@60 4:4:4) to fully support all current and future UHD formats. The VM130 also includes the latest HDCP 2.2 copy protection necessary for accessing all commercial UHD video releases. BluOS-Ready: The NAD VM130 also adds the option of integrating BluOS Hi-Res multiroom audio into your NAD system. A BluOS kit (sold separately) is also required. Modular Design Construction: The advantages of a pure digital system are many, but one drawback is the constantly changing delivery formats for digital content. Each of these formats typically requires specialized hardware and software, often with licensed IP and content copy protection. For this reason, NAD places all digital interface circuitry on easily upgradable modules. NAD calls this 'Modular Design Construction' or 'MDC'. Does the VM130 support Dolby Vision through HDMI pass-through? Hey Bruce. I checked with NAD on this, and they said that the module would handle HDR10 currently. It is in the process of being tested for Dolby Vision, but I don't have any kind of a date on when testing/certification will be finalized. 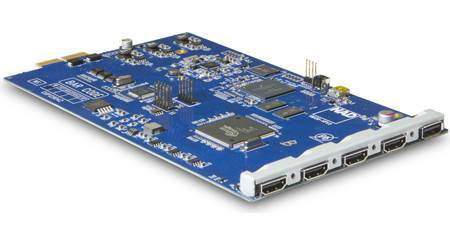 Searches related to the NAD VM130 Add-on 4K video module for NAD T 758 home theater receiver.